The Department of Defence has formally accepted the first two deployable cabins for Australia’s F-35A fleet, which were delivered by Lockheed Martin Australia and Newcastle-based Varley Group. The Commonwealth's formal acceptance of the first of 15 deployable cabins, delivered by defence prime Lockheed Martin Australia and fabrication experts Varley Group, marked a major milestone for the full operation of the Air Force's F-35A aircraft. "The deployable cabins are a critical part of operating and maintaining the Air Force's new fighter aircraft, whenever they are deployed away from their future homes at RAAF Bases Williamtown and Tindal," Minister Pyne explained. All 15 of the deployable cabins will provide transportable, secure work spaces for Australian Defence Force personnel to support the operations and maintenance activities for the F-35 as part of the future, networked ADF. As part of their role, the specialised ICT facilities will also serve as a housing for a portable Autonomic Logistics Information System (ALIS), enabling a connection to the ALIS network anywhere in the world. ALIS provides the off-board information system hardware, software and data that performs maintenance management, fault diagnostic, supply support, mission planning and training management across the F-35 weapons system. 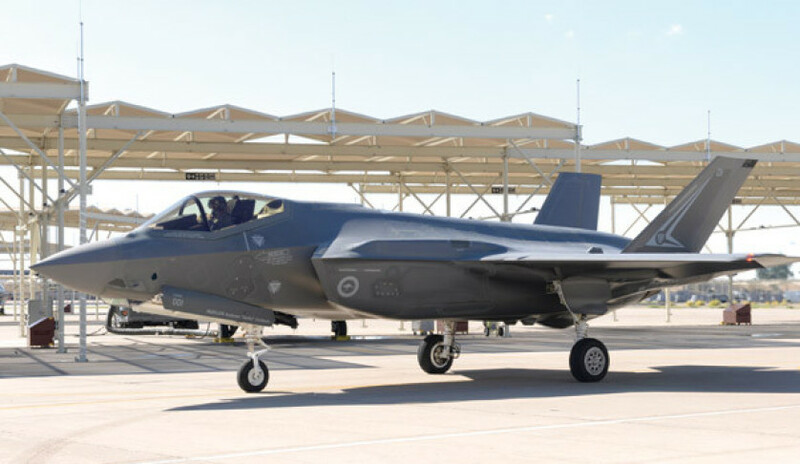 Lockheed Martin Australia chief executive Vince Di Pietro said that the ADF’s formal acceptance of the deployable facilities was an important milestone in the lead up to the arrival of Australia’s first two F-35A aircraft. "The deployable cabins are an evolutionary development and play a critical role in operating and maintaining Australia’s F-35 fleet whether from their home base or deployed further afield," he explained. The portable cabins will also hold the off-board mission planning system that would be used across the RAAF's F-35A, F/A-18F Super Hornet, E/A-18 Growler and P-8 Poseidon fleets. "This ensures that all 15 deployable cabins can be positioned to support Australian F-35A software verification and validation activities and provide transportable, secure work spaces for ADF personnel to support operations and maintenance activities," Di Pietro explained. 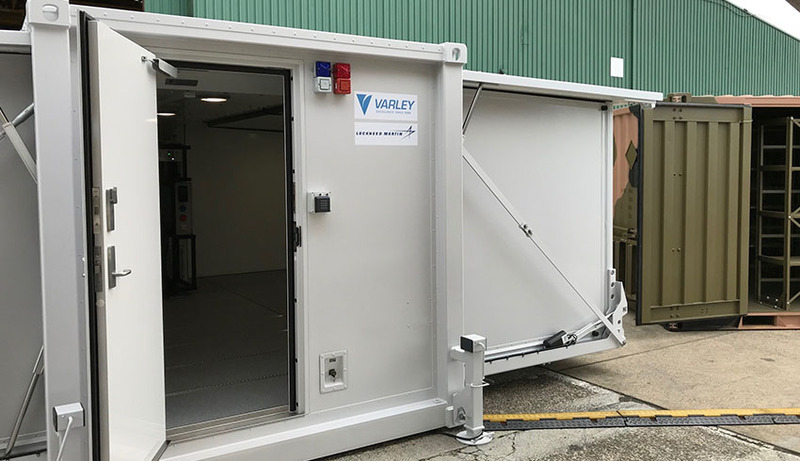 Minister Ciobo said this was another strong example of opportunities in Australia's expanding defence industry being taken up by companies in regional areas, with Newcastle- based Varley Group responsible for the manufacturing of the deployable cabins. "The deployable cabins were built by Varley Group in Newcastle, NSW using Australian steel, creating 20 jobs at Varley and another 50 local jobs in the Hunter region supply chain," Minister Ciobo said. Jeff Phillips, General Manager, Varley Group said, "What we delivered together was not just a secure environment for F-35 Joint Strike Fighter pilots to be briefed in; we delivered a real example of the federal government’s vision for Australia’s defence industry and its jobs and growth commitment to the country." "The project was delivered on-time, using a local innovative engineering design and manufacturing, with Australian steel, using local Hunter workers," Phillips continued. Australia is spending about $17 billion to buy 72 F-35As. Australia’s first six F-35s are currently operating at the international Pilot Training Centre at Luke Air Force Base in Arizona, with four more aircraft expected to be delivered by the end of this year. Minister Pyne said when announcing the $37.5 million project in June last year, "This acquisition is part of the transformation required to make Australia the most technologically advanced small modern Air Force in the world and optimise Australia's individual Defence capabilities by operating as a truly networked force." Original equipment manufacturer Lockheed Martin has been working closely with Australian industry partners and the RAAF to prepare for the arrival of Australia's first two F-35s in December, while aiming to establish initial operating capability (IOC) for Australia's F-35s in December 2020. Number 3 Squadron will be operational in 2021. All 72 aircraft are expected to be fully operational by 2023.